Jermain Defoe played in Tottenham’s Carling Cup semi-final against Arsenal last night sporting some kind of cranial G-string. 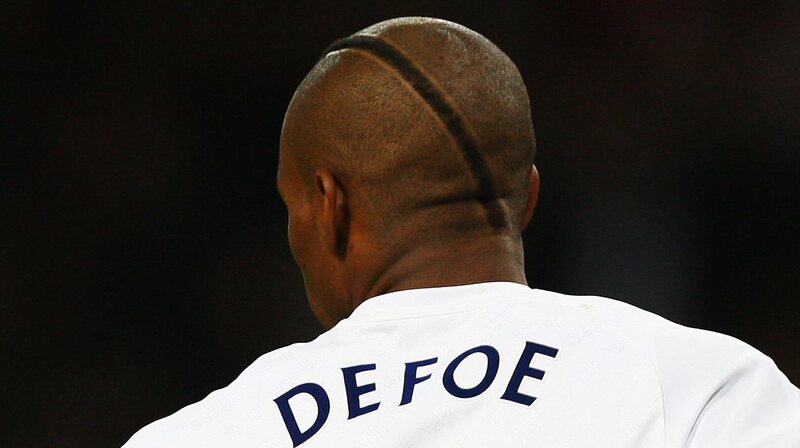 Pies is not sure what is more shocking, the haircut or the fact that Defoe played a game. Dressing up as the planet Saturn is one way of attracting the attention of other clubs during the transfer window, I suppose.